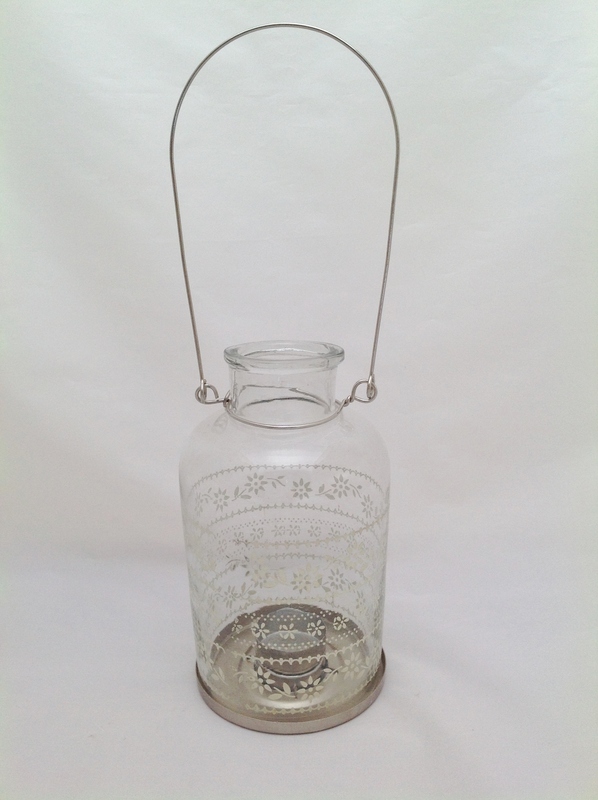 The Nkuku T-light lantern is a dainty glass tealight lantern which is handpainted with a pretty white floral pattern. They can be hung up by the metal handle, or they can be placed on a flat surface. The tealight is easily inserted into the lantern from the base. Place these versatile Nkuku T-light lanterns on a table both inside and out, or hang them in trees around your garden for outside styling on a summer's evening. 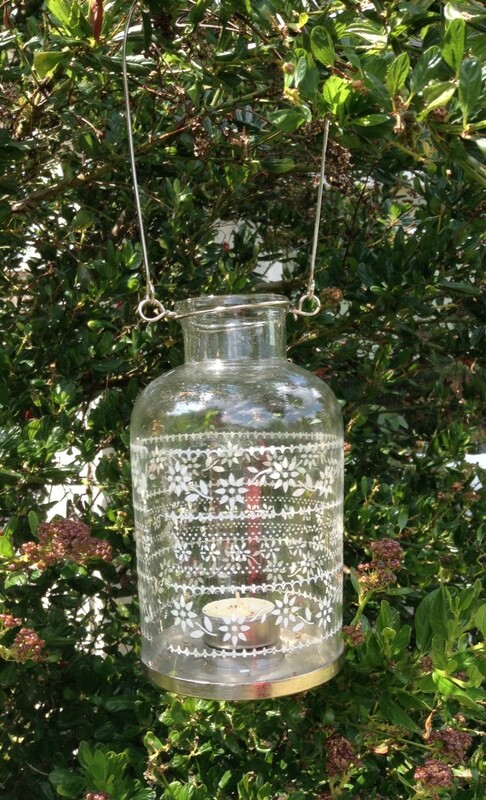 These eco friendly painted recycled glass lanterns from Nkuku form part of our outdoor dining and accessory range, which also includes our t-light lantern stakes for the ground. Perfect for your garden party, celebratory event or to create a romantic ambience around the patio. SPECIAL OFFER - Save 10% when buying a pair of lanterns. Choose either 'Pair Large' or 'Pair Small' from the dropdown to receive the discount. We have chosen Nkuku as a supplier in the UK due to the fact that, being a socially responsible company, we share their principles of promoting fair trade and supporting local community initiatives. In this way we hope to raise awareness of sound business practises in the emerging markets such as Africa.